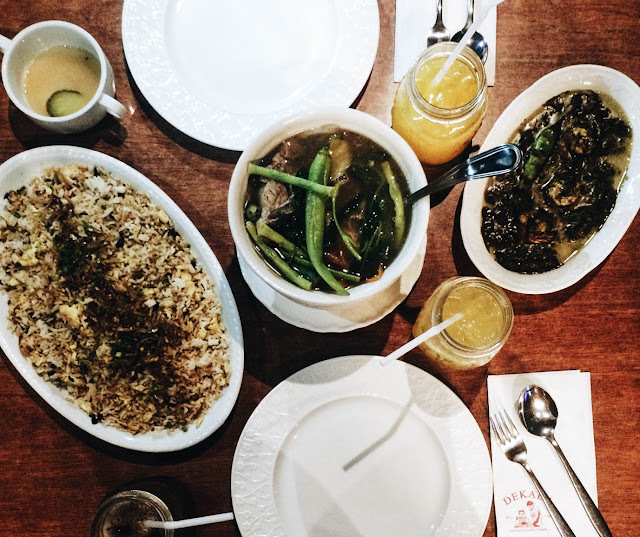 It was after getting pampered at Kitchenails with my friends that we decided to look for a place to have dinner that we haven't tried before. 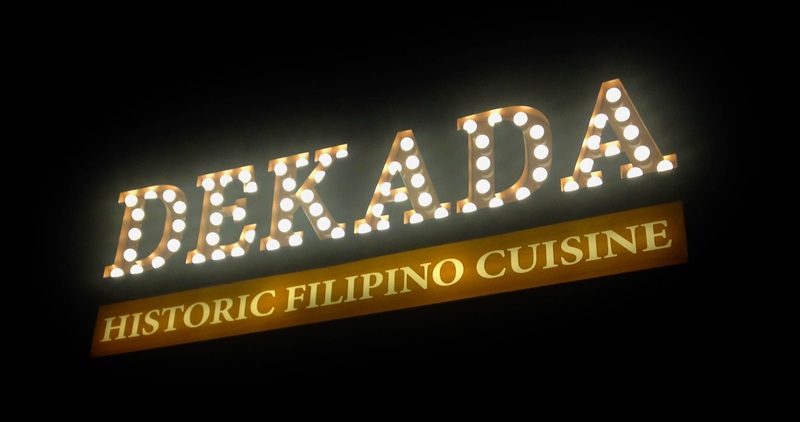 We looking for a homey place which serves rice (we were really hungry, then) so we ended up trying out Dekada. 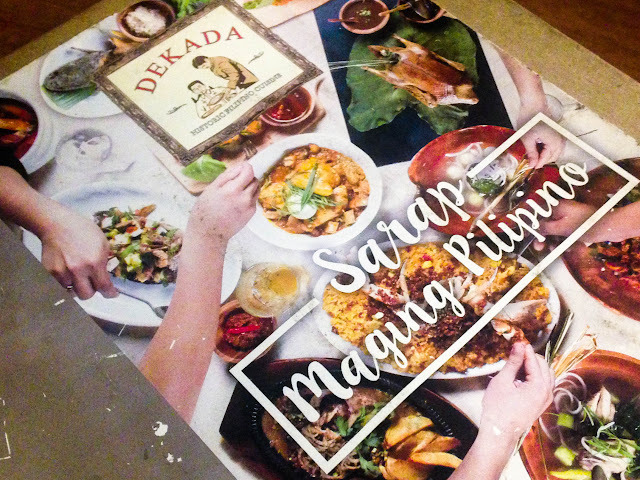 Located at the fourth floor of Trinoma Mall, North Triangle, Quezon City, Dekada is known for their classic Filipino cuisines and hints of Philippine history from their interiors and dish names. I was amazed that their dish names came from our history. Dekada, Marcos, and Aquino. 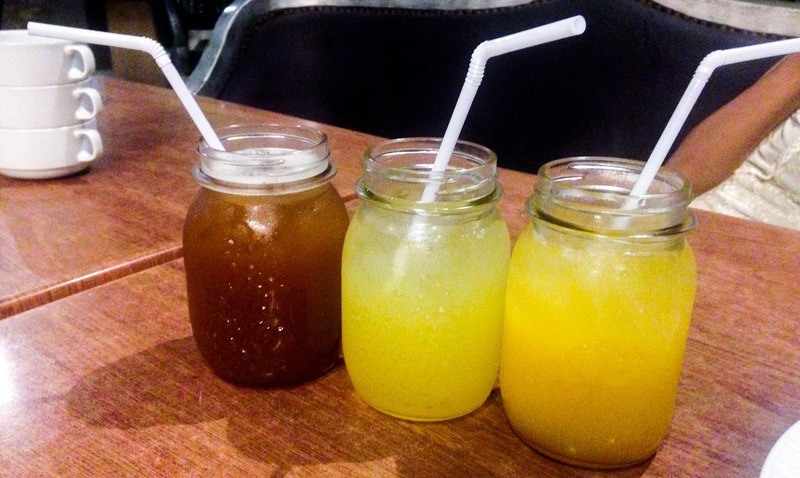 Bottomless iced tea, bottomless dalandan juice, bottomless mango juice. The iced tea tastes like regular powdered iced tea--not the house blend ones. The dalandan juice tastes fresh and sweet as well as the mango. Franciscano. 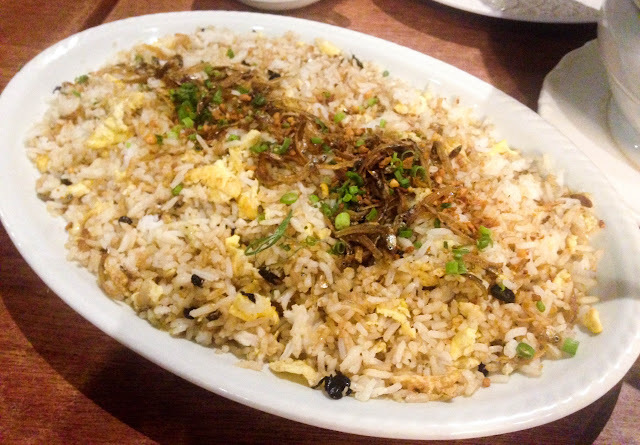 Dilis rice. 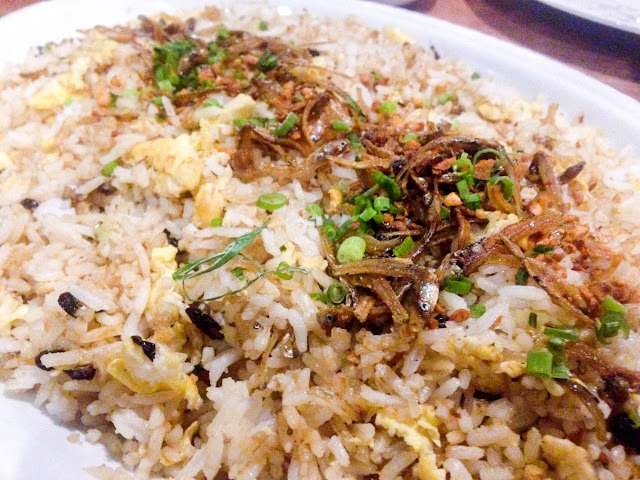 I think we made the wrong choice in ordering dilis rice for dinner. Salty but nothing special about it. I think it is best for breakfast. Kamikaze. 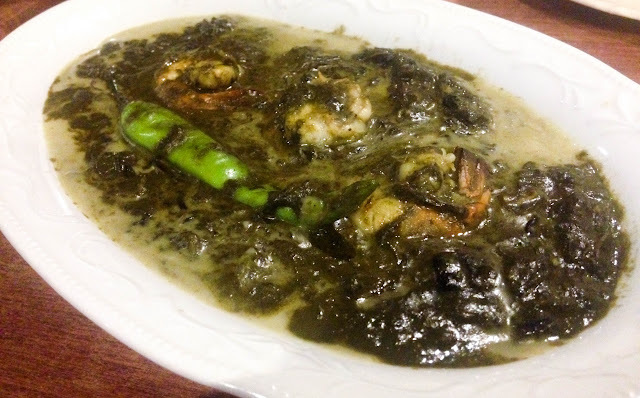 Laing with shrimps. It has a bit of spice and looks blended. It only had three pieces of shrimp on top. Death March. 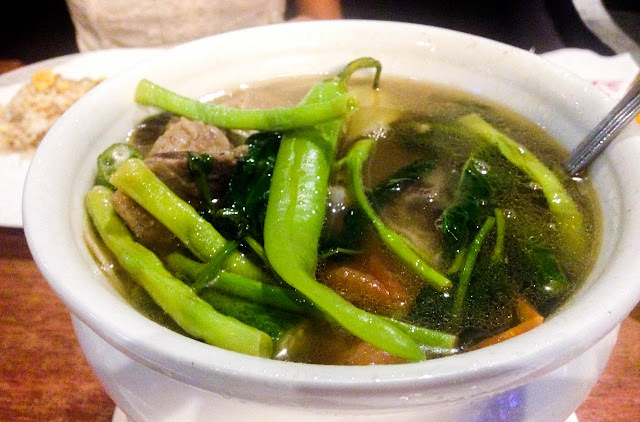 Sinigang na spareribs sa sampaloc. Average sourness for sinigang, could have been better if it was more sour. Meat was tender. 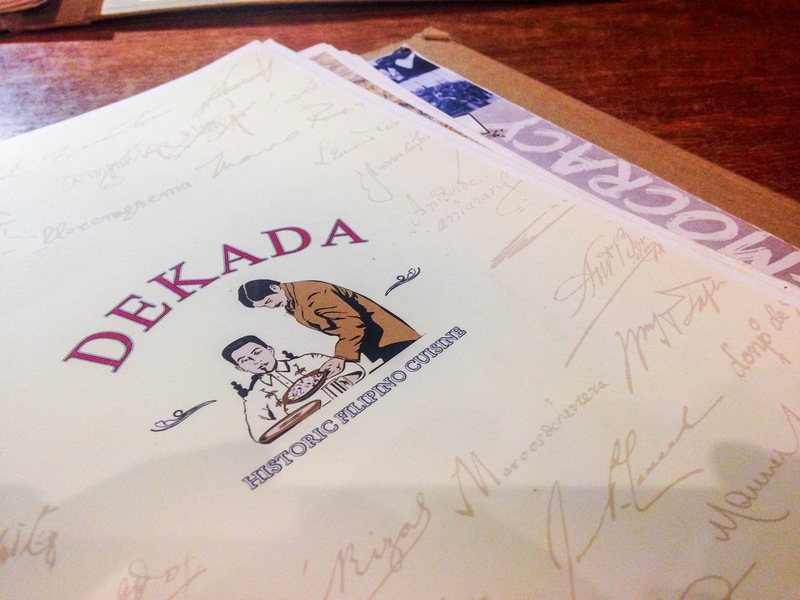 Our dining experience at Dekada was average. If I would go back, I might try their desserts. Though, I don't see the main dishes as priceworthy for the taste.